ICP Care 501(c)(3) nonprofit is a volunteer-based charity raising Cholestasis of Pregnancy awareness and education with an evidenced based English and Spanish website that includes educational brochures for both patients and healthcare providers. Thank you to our wonderful ICP community on the Facebook Page and support groups creating a Facebook Fundraiser. Each of your Facebook Fundraisers shared with your friends and family help raise awareness and allows us to continue to provide support and education to the public, community and healthcare providers. Our educational focus for healthcare providers include a ‘For Provider’ section with articles of published literature on the ICP Care website. We continue to distribute ICP educational materials, meet and talk to thousands of healthcare providers at the healthcare professional conference meetings in the ICP Care booth. We attended the SMFM’s (Society for Maternal-Fetal Medicine) 39th Annual Pregnancy Meeting in February with incredible conversations and connections with high risk pregnancy experts. ICP Care is looking forward to working with some of these specialists to support their upcoming ICP research. ICP Care will be attending this May and June the ACOG (American College of Obstetricians and Gynecologists) Annual Clinical and Scientific Meeting, ACNM (American College of Nurse-Midwives) Annual Meeting and AWHONN (Association of Women’s Health, Obstetric and Neonatal Nurses) Conference. 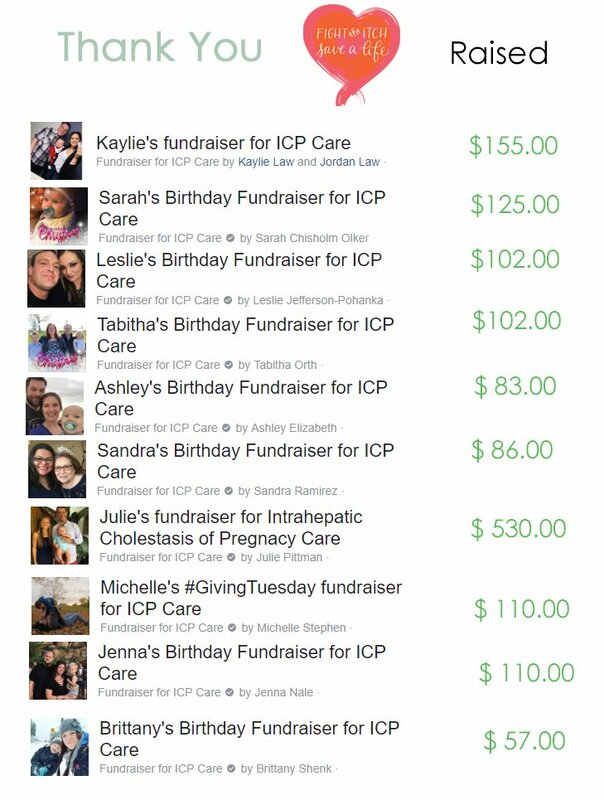 This only being possible by all of the ICP community families taking initiatives to raise funds to benefit ICP Care. With each of your continued support with fundraisers, donations, and joining our events to raise money, together we will continue to make a difference to Fight the Itch. Save a Life. Visit our Fundraising page for more information on how to help. 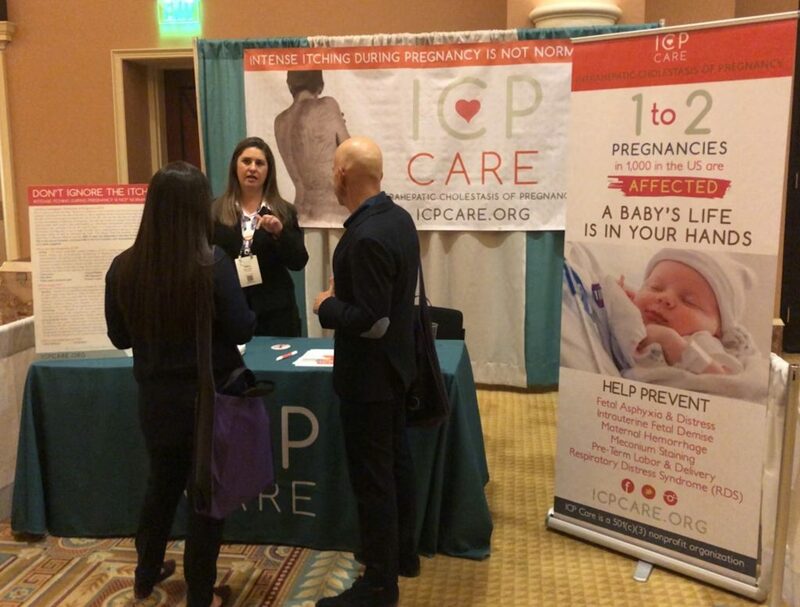 ICP Care booth at the SMFM’s (Society for Maternal-Fetal Medicine) 39th Annual Pregnancy Meeting.